Following a request on Twitter, this post summarises some of the major research developments in dementia science between the time when my book The Fragile Brain was submitted (March 2016) and its publication last month (November 2016). For a more general study of growing older, there’s an OUP VSI (Very Short Introduction) on ageing just out, though I haven’t had a chance to look at it yet. The big clinical news is surely the failure of the solanezumab trial, based on the amyloid cascade hypothesis. Some researchers reacted by giving reasons why the failure didn’t kill the hypothesis; others remarked that you can’t kill something that’s already dead. Apart from its implications for research, this is another setback for patients desperate for good news. Good news may yet arrive from treatment trials, but we got some by another route this year, courtesy of big epidemiological studies such as Langa et al. and Matthews et al.. These support the idea that dementia rates may be slowing, at least in Western countries like the UK. That suggests that the lifestyle changes people have made so far may be having an effect. These changes are sizeable. In the UK, for instance, smoking has dropped from 46% to 19% of adults since 1974, according to the Office for National Statistics. If so much change is possible, perhaps there’s hope for other risk factors like overeating, pollution, and physical inactivity. It would help if governments would take them more seriously, though there are hints of progress here too, such as the new UK sugar tax. Countries in which smoking rates remain high and diets are becoming more Western are storing up trouble – and expense – for future generations. In research, one obvious change (certainly since I began work on The Fragile Brain) is that neuroimmunology – and the broader acceptance that blood factors can and do affect the brain far more than previously thought – is now mainstream. For example, the journal Neuropsychopharmacology has just issued a table of contents on the topic (Volume 42, Issue 1, January 2017). Emphasis on diabetes and depression as risk factors has increased accordingly, given the importance of inflammation in these disorders. Research into the gut and microbiome, and their potential impact on ageing brains, is also gathering pace (e.g. Sampson et al.). Complementing this is the growing understanding that the brain’s non-neuronal cells – such as astrocytes, microglia, oligodendrocytes, pericytes and endothelial cells – really matter for neurons’ and synapses’ wellbeing. These formerly neglected cells, and the vascular system, are vital for keeping the brain healthy into old age (see e.g. Ma et al.). There has also been progress on the notoriously difficult problem of the amyloid peptides’ structures (see for example Riek et al., Xu et al., Wälti et al., Eisenberg et al., and more). Work on prions, and on the implication that amyloid too may be infectious, also proceeds: see for example the recent Nature Insight review by (of course) John Collinge et al. The other papers in that collection are also well worth a look. For example, the fascinating piece by Rebecca Canter and colleagues looks at neural circuitry failures in neurodegeneration. Efforts continue to make the impact of new methods, such as organoids, ‘omics’ and neuroimaging, felt in neurodegeneration research, and to organise the masses of data they produce (see e.g. Rollo et al.). It’s becoming clearer that lipids, and the cell membrane, are more important players than previously realised, which potentially opens up new treatment and dietary avenues for research. For proteins, the importance of variants in genes other than ApoE, such as TREM2, is becoming more apparent, and ApoE studies are also branching out. This is a brief summary of recent developments; there’s much more than I’ve covered here. It’s a fast-moving field, and 2017 should bring plenty of advances in basic research. And treatments? Well, here’s hoping. Perhaps some of the other antibody trials, or alternative approaches such as insulin, will produce encouraging results. Whatever happens in 2017, in dementia research and elsewhere, I wish you a successful new year. Like any well-meaning science communicator, I’m on the lookout for new ways to communicate about my favourite topic, neuroscience. The location of the thalamus (in red) in the human brain. Image is by Life Science Databases (LSDB). (CC-BY-SA-2.1-jp (http://creativecommons.org/licenses/by-sa/2.1/jp/deed.en)), via Wikimedia Commons. Images, like the view of the thalamus shown here, look great, but they need words, or a lot of background knowledge, to communicate their meaning. So it’s back to words. But what kind of words? Well, it’s said that fiction’s a good way of communicating … in some cases anyway! I’m not too keen on the idea that science is science and should steer well clear of anything that smacks of the humanities. People have quite enough tricks for emphasizing their differences, and feeling superior in consequence, without barricading intellectual endeavours into disciplinary silos. (I know, I know, talk about championing a lost cause!) Besides, neuroscientists are happy to use the visual arts to put their work across, so why not other art forms? All fiction is in a sense concerned with brains’ activities, but not many authors have tried writing fiction about brains themselves. Pondering this one day, I thought: “Someone should write a short story about brains! I’d read it! Probably.” Then I went back to reading whatever exciting science article had just fallen out of my inbox and onto my to-do list. Some time later this short story wandered into my brain. It made me smile, so I caught the thing and submitted it to a writing competition (Writers and Artists) on the theme of ‘freedom’, where, to my astonishment, it was short-listed. You can download it as a PDF here (‘Freedom’, by Neurotaylor). I’m posting it on this blog as an exercise in alternative methods of science communication. And If you know of any great fiction about brains themselves, let me know. Here’s the story, set out as a taster so the post isn’t too long. The whole thing’s around 2000 words. Alright mate? You on the tour? Welcome to the department. I’m Alfie. Ever been inside a brain before? No? That’s unusual, not many people start their visit here. Fully booked, eh? Don’t apologise, mate, we’re used to it. People wanna see the bits they’ve heard of. It’s all, “Ooh, can we go to the prefrontal cortex?”, like that’s the only department that matters. I tell you, mate, without us those guys in prefrontal would be twiddling their dendrites and rotting. Yeah, they don’t half play up to it though. You’ll see ’em later. All that, “Oh yes, it’s a great responsibility”, and banging on about their dopamine levels, as if the rest of us never get a sniff of dopamine. They don’t half try it on, that lot. They’re just passing messages, same as the rest of us. Load of posers, if you ask me. Don’t tell ’em I said that. The recent clutch of Big Neuroscience stories in the media (see my previous post) has raised an old concern in some of the media’s less — shall we say? — scientifically reputable outlets, like Esquire magazine. Could fearsome-sounding neuroscience technologies like nanoscience, optogenetics, deep brain stimulation and so on ever be used for mind control? The idea is frightening — and intriguing. ‘Mind control? I wish!’ is an understandable response, but is mocking humour the best response to anxiety? That’s a serious question, and the answer depends on the humourist’s goal. Is it to preserve status and protect neuroscience’s reputation, or is it to ease the concerns of people who take the prospect of imminent brainwashing seriously? The media do sensationalise, but they don’t do so at random; they generally know what works. People fear being manipulated. Of course some researchers will react dismissively. Who wants their shiny new science tainted by association with the sordid cruelties of early brainwashing research? But before you dismiss the idea, bear in mind that the leading scientists behind the Brain Activity Mapping Project, which US President Obama hopes to back with $3 billion funding, raise the issue of mind control themselves as one of the difficult ethical problems which may arise in the course of their research (their article in Neuron is here). The Frankenstein stereotype of scientists as seeking to dominate nature remains influential, and in brain research, of course, ‘nature’ means ‘us’. If you don’t know the gritty details which make neuroscience research so painstaking and difficult, it’s easy to imagine the worst. And the pressure on scientists to hype up the ‘impact’ of their work, stretching steps to advances, advances to breakthroughs, and breakthroughs to exciting challenges, is not helpful either. If one neuroscientist’s press release says he’s used fMRI to decode what somebody’s thinking, is it quite fair for another’s blog to sneer at those poor fools who fear that the government may soon be reading their minds? To be clear: the issue of mind control may arise. No way can we do it yet, and no researcher knows whether it will be possible or not in the future. The brain’s really hard, but science is littered with people who said ‘never’ and were proved wrong, so the opinions for and against are matters of personality and faith, not secret knowledge. Cynics will sneer, optimists hope, pessimists dread, psychopaths plot, and geeks plough on regardless — and entertaining though this all may be, it’s not science. Meanwhile, there’s more danger of mind control from watching TV ads too long than from your local neuroscience lab. Even if precision brain control does become a real possibility, my own expression of faith is that you probably have more to fear from your (nonlocal) megacorporations, government and the military than your friendly neighbourhood brain researchers. Having written books about both brainwashing and the future of neuroscience technologies, I herewith add my tuppenceworth on why we find the topic so enthralling, in the form of a short video about the ancient dream, and modern science, of mind control. My latest videos (also available on YouTube) are three short, simple introductions to the remarkable neuroscientific techniques of neuroimaging, dealing with fMRI, PET, and MEG. My hope is that these guides will be useful to students starting out, and to anyone who wants a quick briefing on what happens in brain scans. I’ve tried to keep the talks short, clear, and as fluent as possible. I’ve put slides in at intervals to help summarise the material, and there are some questions at the end for those who’d like pointers to further study. Talking about the brain very simply. Very, very simply. 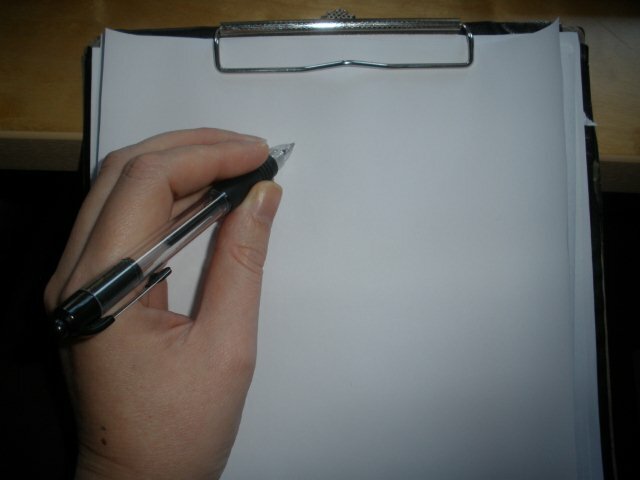 I’ve just come across, as perhaps you already have, the Up-Goer Five Text Editor. It tests what you type in the box (in English) against a list of the most commonly-used words. The ‘ten hundred’ most common — presumably described that way because ‘thousand’ isn’t a common enough word. Now, I’m not altogether in favour of this. What’s the point of having all those gorgeous words to play with if you don’t use them and, by using them, encourage other people to use them too? The connection between language and thought is, shall we say, contested — philosophers have been arguing over it for ages and show no signs of desisting any time soon — but I’m tempted by George Orwell’s 1984 view here: simplify and restrict language, and you risk restricting the minds that express themselves through it. On the other hand, I am in favour of clarity, and using language carefully. And it’s a fun challenge. So here’s my off-the-cuff attempt to explain why neuroscience is hard. The brain is a very hard thing to understand. It’s full of very many bits and pieces, such as cells and the things inside them, which talk to each other in very many ways. That makes for a problem: how do we get a grip on all those conversations inside the cells and between cells? Understanding has to be done bit by bit, and there are lots and lots of bits. Too many for any one person to get their head around. Together, those bits make up us. They allow us to think, feel, act, believe and be the amazing humans we are. If you’d like to try it yourself, the link is here. Today I’m trying a new experiment. New for me, at least, and scary, though no doubt many of you will be past masters at it. I’m posting a video on YouTube. It’s the first of a planned series of short, simple talks about neuroscience, and it’s an introductory guide to what’s where in human brains. My hope is that it will be useful to students starting out, and to others interested in learning more about brains and the methods used to study them. If you’d like to look a little beyond the headlines and pretty pictures of fMRI, for instance, there’ll be a talk on that coming soon. I’ve tried to keep the talks short, clear, and as fluent as possible, although, as I soon found out, it’s extremely difficult to talk coherently for minutes at a time about any subject, even one you know well. Finally, the biggest disadvantage to this project, from my point of view, is that it’s video. My childish sympathy for the old idea that photographing someone stole their soul has been overlaid in adulthood by a properly scientific doubt as to whether people have souls – but I retain the child’s dislike of being imaged. However, communication works better when you can see the communicator. And this is such an important topic to communicate. So here goes. With hindsight, I can agree: that particular effort wasn’t ace. I can’t even remember its title, and the obscurity’s well-deserved. What did stick was my surprise that my colleague (undoubtedly a good scientist) saw good science and good writing as not just independent, but even perhaps opposed, since science is all about precision and language is irretrievably vague. Science and the media: is impact especially bad for brain science? I’m a science writer. I signed up long ago to the principles of open science, and I do my best to let people know about the magnificent achievements of modern neuroscience. Insofar as introverts can be evangelical, I’m spreading the good news about brain research. To do this, I and many others like me need publicity. We need the media. And yet, I have a deep and growing fear that the current excited courtship between research, especially brain research, and the media may not necessarily be the good thing people seem to think it is. This is not just the usual anxiety about requirements for ‘impact’ in funding applications, and the distorting effects of rewarding instantly popular research (see for instance this report from NHS Behind the Headlines). It’s more fundamental, and it’s particularly relevant to the sciences of the mind and brain. What is the brain supremacy? 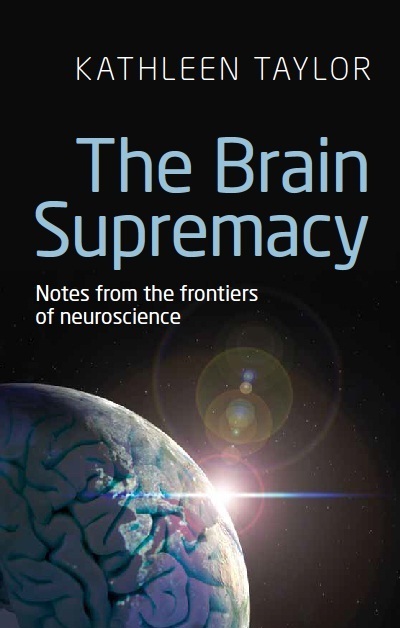 The brain supremacy is a great, rapidly- developing change in science, in which the traditional dominance of the physical sciences will be challenged, and then usurped, by the growth of the biological, and especially the brain sciences. When that happens, our culture, including the culture of science, will have to change, because both are built on outdated assumptions. As a bonus, the change could take scientific hubris down a peg or two, as we realise just how much harder brains are to study than anything we’ve tackled so far. That’s no harm either! Humility’s an unfashionable virtue in this self-promoting age, and it’s a lot harder to slip from confidence to arrogance when you’re trying to analyse a living brain. Three great flows in the river of science are converging. Expect a white-water ride, as the power of physics-derived brain research methods and the force of the genetics revolution meet the youthful energy of a science emerging from childhood into a fully-fledged research field. When I started out, neuroscience was a branch of physiology. No longer. The brain supremacy can’t come soon enough for me, for three reasons. Firstly, because time’s getting on in this particular life-path! Secondly, because it’s going to be amazing to watch. Neurotech is already phenomenal; as the brain supremacy takes shape its power will reach awe-inspiring capacities. How about dream recording, selective memory erasure, mindreading? How about the facility to share dreams, or download artificial experiences? How about the ability to reprogramme your beliefs and desires? It’s going to be a fascinating journey, seeing even a few of these promises come to pass. … and the easier it will get to work towards cures for hurt neurons. Think what we could do if we gained the gift of precision brain control. Might fanaticism, violence and psychopathy become curable disorders? Might the hideous damage inflicted by childhood abuse, or the diseases of old age, be reversible at last? Those are goals worth chasing. I’m so lucky to be alive to see this time when, more than ever before, we hold the hope of a better future in our hands.